Cycling in Torrevieja will take you to nature parks, around salt lakes, to the mountains and to enjoy a dip in the mud baths by Mar Menor. At the southern end of the Costa Blanca is the coastal resort of Torrevieja, which draws thousands of holidaymakers to its beaches and golf courses. 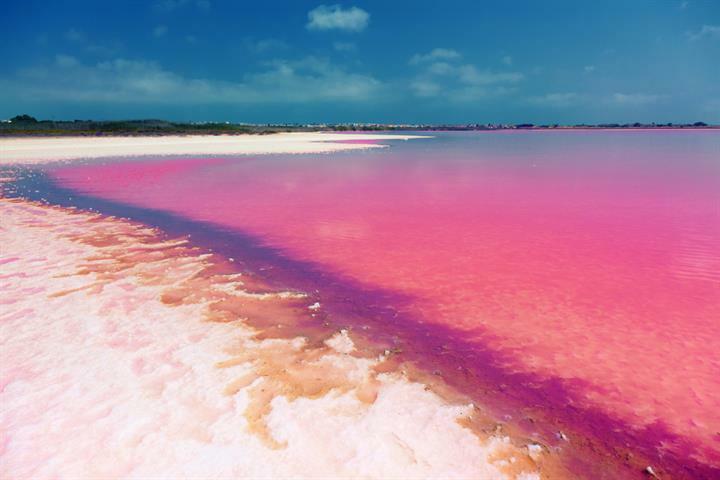 Torrevieja is one giant playground with so many fun activities for children including beaches, a submarine, a pink lake, playgrounds and a water park. 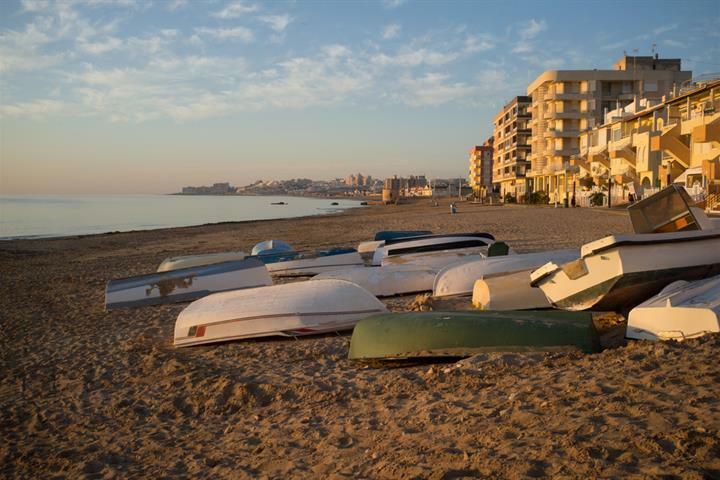 Chic yachts, a wistful woman, sculptures, a submarine and a sandy beach are some of the sights to delight people walking by Torrevieja's seashore. Spain's street markets have been compared to Arabian affairs with the stalls piled high with bargains. 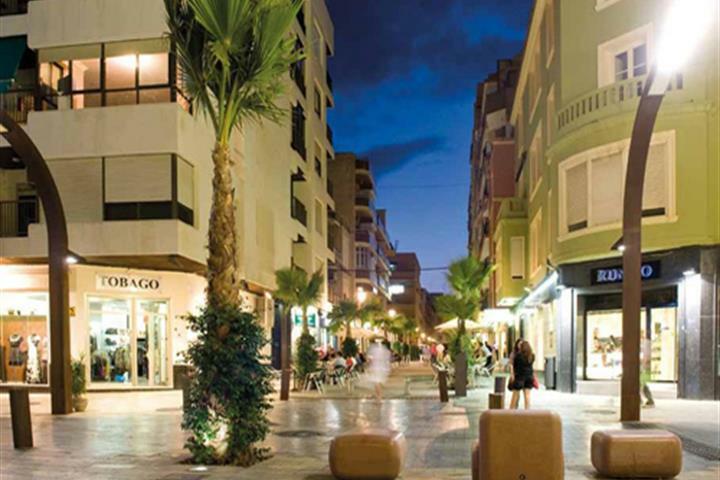 Torrevieja has one of the biggest in Europe. 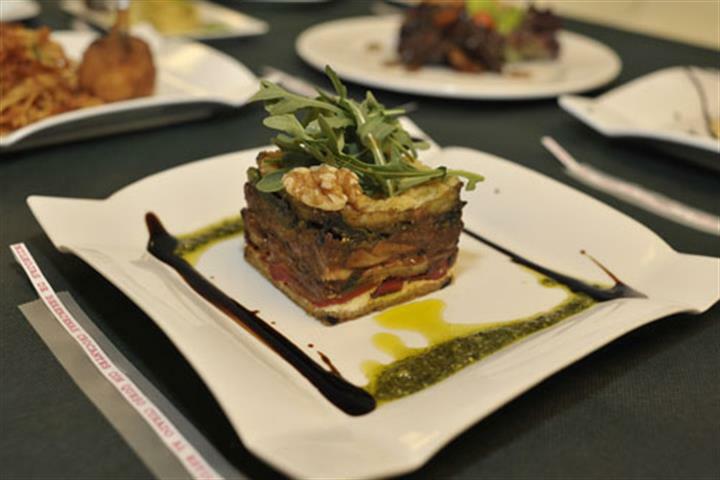 Tapas is a great Spanish dining experience as it’s a chance to try small samples of cuisine which you may not want to order as a main course. 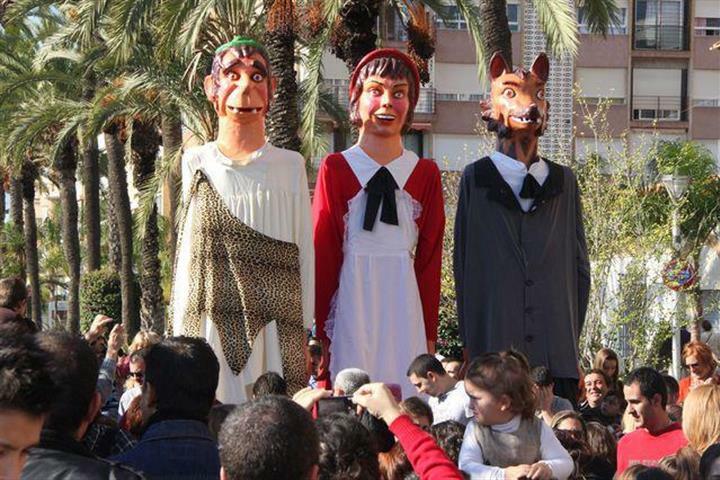 Fireworks, music, dancing, giant paella, big heads and incredible religious statues make Torrevieja's festivals so special. Places to see in Torrevieja as well as days trips to, waterfalls, Roman ruins, an island, museums, art and unspoilt nature that await not far away. The apartment is in Los Altos, about 15 minutes drive to torrevieja. 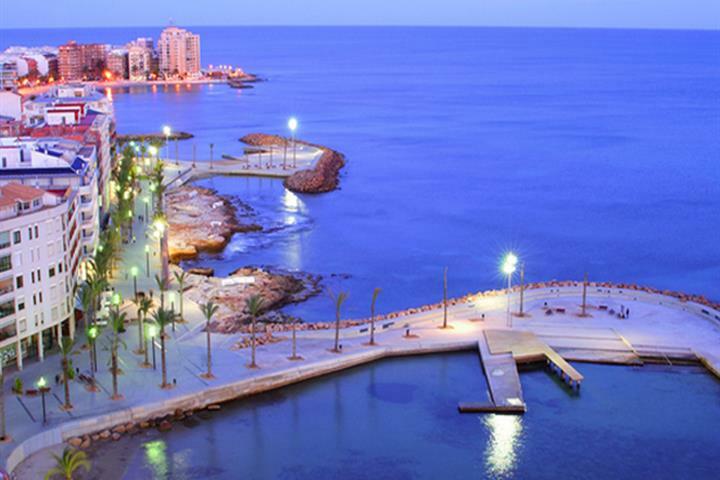 Torrevieja is a lovely seaside town with plenty of restaurants, shops and bars. Beautiful soft sandy beaches. Some rocky areas too.